There are all sorts of styles of jeans and plenty of advice online on the type of jeans suited to an individual's body shape. Different styles are in one season, out the next and I can't keep up. When I find a comfortable pair I will wear them until they wear out, regardless of whether fashion says they are 'in'. I usually buy my jeans from an op shop but there are some competitively priced ones available new. 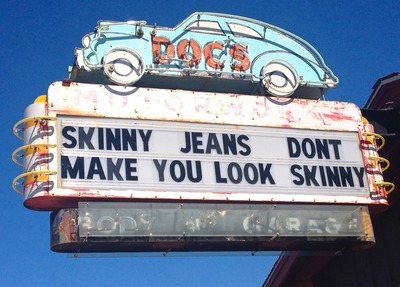 That's another good thing about jeans. 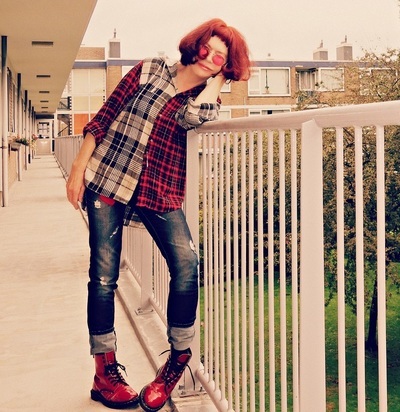 Jeans with patches are acceptable fashion wise and the creative person can have fun decorating their jeans. Distressed jeans became fashionable a few years back. They look quite good on some women when teamed with stylish items, making it clear they are a fashion statement, not something that has seen better days. I did a quick online search and found conflicting advice about how many rips, the placement and the size that are recommended. 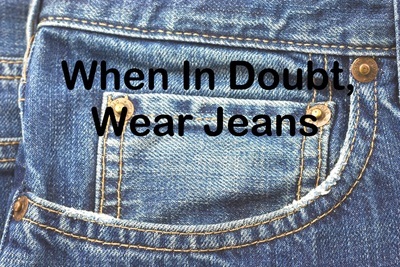 It doesn't matter to me as I have never worn a pair of jeans with shreds, scrapes and holes. Just watch me be as stubborn as a pack of mules.